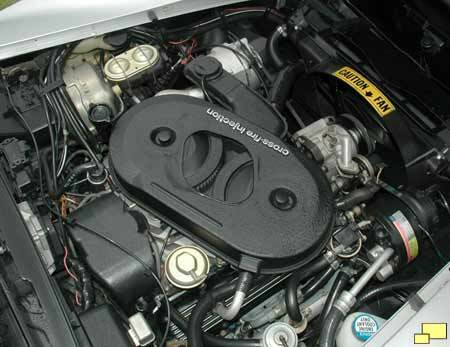 The 1982 Corvette engine bay offered a glimpse into the future. A new fuel delivery system called "Cross-Fire Injection" made it's debut. 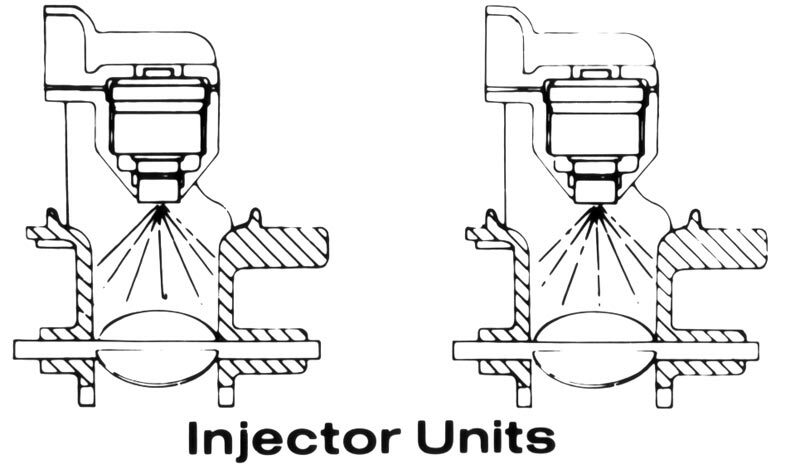 Sometimes called "Throttle Body Injection", it can be thought of as a combination of a carburetor and fuel injection. 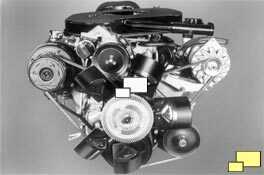 The new system enabled the engine to be rated at 200 hp and still satisfied the increasingly stringent anti-smog regulations. A new electrical fuel pump integral to the gas tank was part of the system. 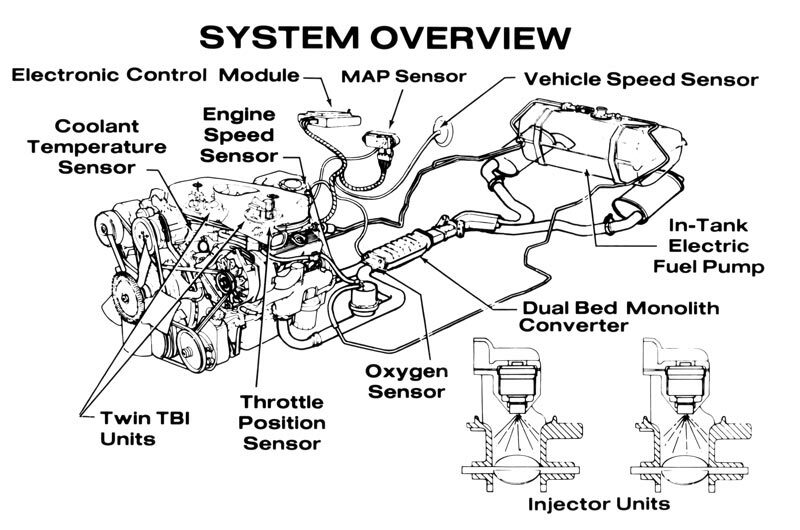 Click here for a system overview diagram. Drivetrain choices unfortunately hit a new low in 1982. Basically there were no choices. 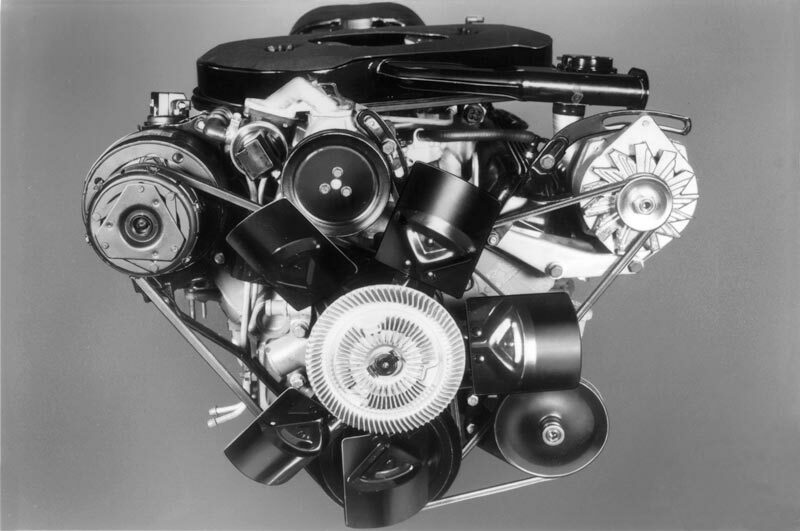 Only one engine was possible: 350 cu. in., 200 hp. Mated to it was a four speed automatic transmission new that year to Corvettes. It featured a new fuel saving torque convertor clutch in gears two, three and four. A manual transmission was not available. 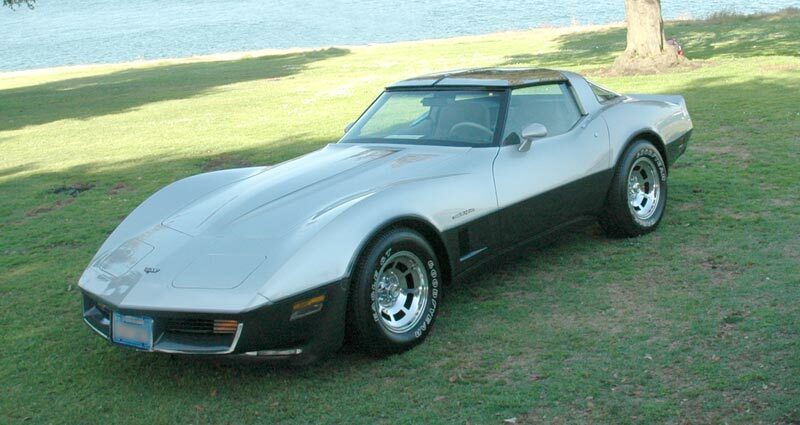 California Corvettes were the same as those sold elsewhere. The last year that the Corvette was similarly restricted was 1954. Notes: Base Corvette Coupe with 350 cu. in. 200 hp engine with automatic transmission: $16,258.52. Notes: Color code 59 was Collector Edition only. Need to sell this vette - reasonable offers accepted. One of a kind red-on-red with lowest mileage you'll find on this car.